I’ve just finished hanging my photography at the Fells Grind in Fells Point for another exciting exhibition. There are lots new photos from the trip to Paris and some extras from Oregon, Italy and Baltimore that I didn’t have a change to hang in the last show. 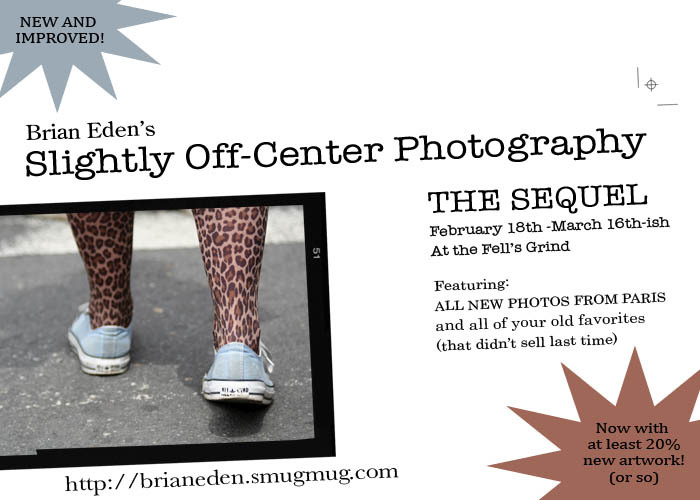 The photos will be hanging at the Grind until mid-march. Check it out!